Monday Night Football got very heated yesterday evening! Manchester City beat Tottenham on Sky Sports, and our former centre-back Jamie Carragher blamed Daniel Levy for not backing Mauricio Pochettino in the market. In the summer, Spurs spent zero and brought not a single player in to bolster the squad. 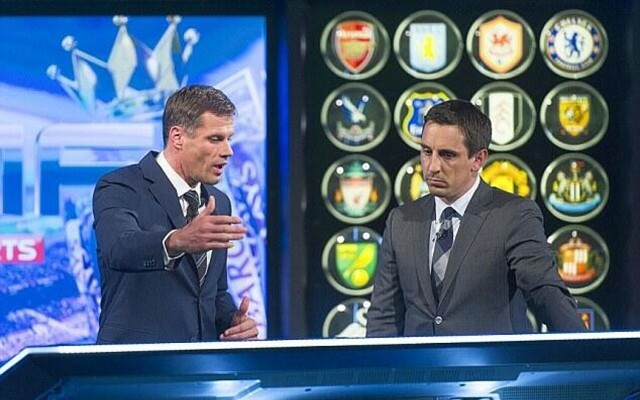 Gary Neville disagreed with Carra and the pair went toe-to-toe with the presenter eventually having to step in and (verbally) pull them apart. We badly wanted Spurs to get something out of the game at Wembley, but the irritating reality is that City are a jaw-dropping side and the one season we’re good enough to challenge for the title, we’re up against arguably the greatest side in Premier League history! "Tottenham for 30 years of our lives were spineless and soft, flaky, rubbish, you could be 2-0 down against them and think you would win 5-2."